Welcome to the new USAGov blog. Here you’ll find insights about the digital front door to the government and learn more about our efforts to improve the public’s experience with government. 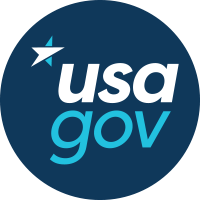 If you’re not familiar with USAGov, we’re the trusted, comprehensive guide to government information and services. We help connect citizens with government online through USA.gov, GobiernoUSA.gov, and Kids.gov, over the phone through 1-844-USA-GOV1, through printed materials like the Consumer Action Handbook and Guia del Consumidor, and through social media, in English or Spanish. This blog is dedicated to discussing our work in web development, usability, accessibility, contact centers, multilingual efforts, marketing and customer experience. And by sharing our successes and failures, we hope to provide a new level of transparency into your government at work for you. We’ll talk about pilot projects and our ongoing user research, and use this space as a testing bed for ideas from our most important customer -- you. If you have questions or would love to see us talk about a certain aspect of our work, feel free to drop us a line at usamarketing@gsa.gov.